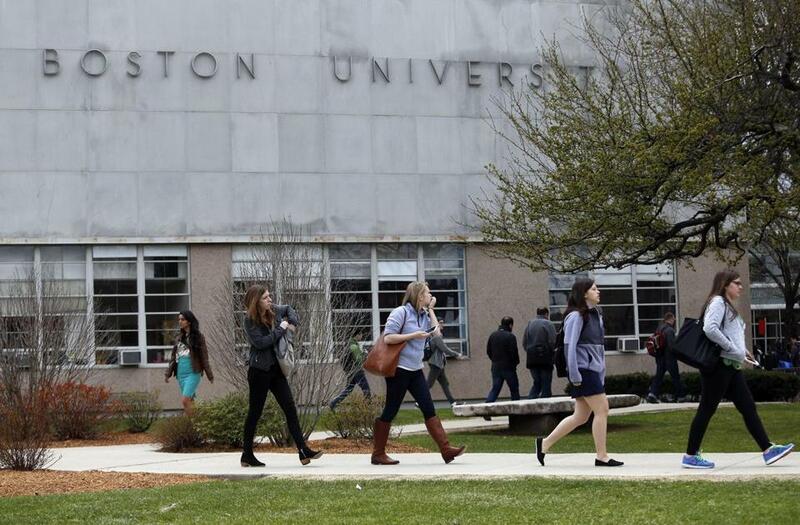 Students filed across the College of Communication campus at Boston University last year. Many more women than men will be opening acceptance letters and e-mails this spring and enrolling in college in the fall, in a trend that holds for both institutions in Massachusetts and nationwide. It’s not a new phenomenon. Women have outnumbered men on college campuses in the US by a widening margin since the late 1970s, and the gap will continue to grow in coming years, according to some projections. In the late 1940s, men accounted for more than 70 percent of college students. Which US colleges have more enrolled women than men? What caused the dramatic change? Researchers have said a variety of factors, perhaps working together, have been responsible. Women tend to earn higher grades and drop out less frequently than men. Also, men are more likely to enter the military or start working full-time right after high school, in lieu of college, studies have found. But there are some outliers. For example, at Boston University, which has the largest undergraduate student body among private schools statewide, 60 percent of undergraduates were women as of the fall of 2014. That means there were 3,691 more women than men, out of the total 18,017 students. Meanwhile, at the University of Massachusetts Amherst, the state’s largest public campus, and the largest overall for undergraduates, men slightly outnumbered women, 51 percent to 49 percent in 2014. A look at the female-male ratio among undergraduate populations statewide as of fall 2014.